Matthew here. 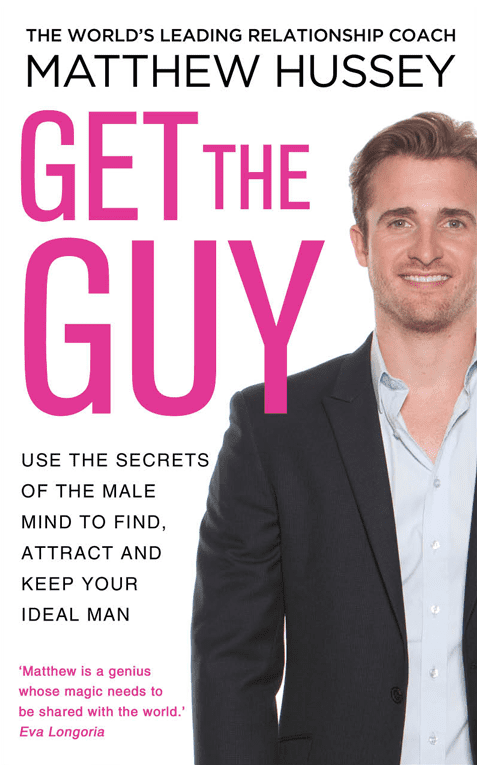 I feel as if I’ve been doing a lot of videos in front of bookshelves recently – very topical because of the Get The Guy book… which is the reason I’m seeing you tomorrow! Yesterday I landed back in London. As you’ll see in the video, I’m a little jet-lagged, unshaven, and need to spend my evening getting ready for seeing you tomorrow. I can’t wait to you see you at the event. It’s going to be a blast. I have a whole raft of friends and family coming, and I’m really excited to have everyone I love together in one place. It’s going to be a great chance to learn a few things, for you to ask me some questions, and to get your book signed and have a photo. If you have friends that you’d like to bring along, here’s the page that will allow you to grab a copy of the book for them and sign up for a place. Make sure you get them to sign up before the event as we’re getting close to capacity and don’t want to have to turn people away at the last minute. My team are excited to see you. Can’t wait! It is two days before the book launch (which explains why I’m looking so tired right now in the video!). I’m a little nervous, a little excited… At the time of writing this I’m sitting in Los Angeles about to fly back to London tomorrow. Before we get onto that however, today I want to give you an idea that you can use in your love life. Attraction is something that can be learned; it’s not something set in stone. There’s a myth that we’re either attractive or we’re not – or that someone can either be attracted to us or not. In reality, I’ve found that life’s not so simple. It’s not that black and white. 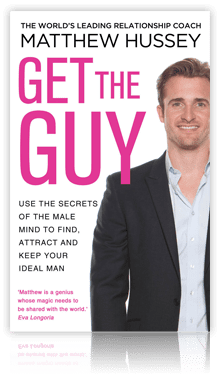 Have you ever become attracted to someone who wasn’t your type? That’s because attraction has a formula. There’s a science to it, which is what I want to go through with you today. I want you to come to believe that attraction is possible to influence. You can have someone who is constantly attractive in one environment, and you can put them in another environment and they’re not. Have you ever gone out and felt that you were getting so much attention one night, but the next you didn’t get any? This didn’t happen because you looked so different on each of the two nights. There are things you can do to change and improve your appearance of course, but there are other factors at play. People think this is just about how you look – and it’s not true. It’s about how you’re perceived. It’s about how you walk, talk, move, what your body language conveys – and there’s a lot we can do in each of these to influence how attractive we are perceived to be. This is what people are really talking about when they talk about the idea of ‘playing hard to get’. Men want to feel that they are earning you every step of the way. They want to feel that you’re attainable, but there are steps they have to go through to earn your attraction. Perceived value is what you have about you that is really worth something. 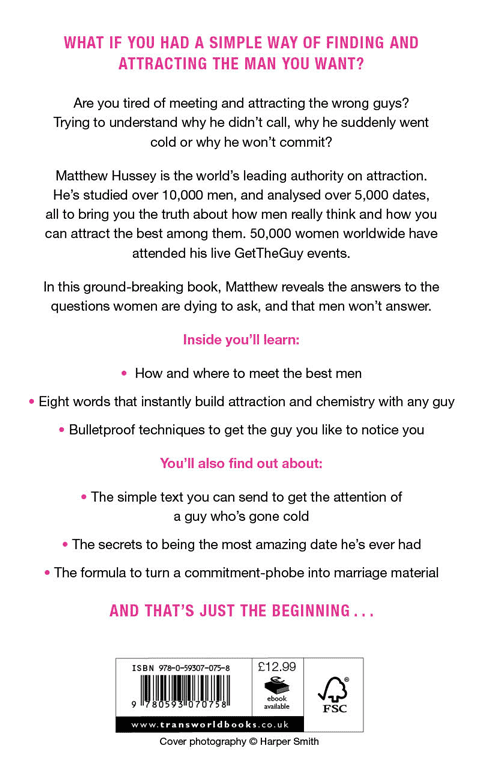 This might be to do with personality traits that you have, the lifestyle you have – something that makes a guy think to himself, ‘this woman has value to add to my life’. Connection is when the two of you truly feel like you relate. This comes mostly from understanding. This is what creates connection. And notice that you can have all of the first three components without any connection. That’s why connection is such a vital piece in the formula. What did you think!? Intrigued by this idea? The book is where I’ve really attempted to give a lot of detail on this, and where I’ve been able to talk about this at length. If you’re interested in learning more about this, the book is your chance to do so. When you see what I have for you on Thursday (release day) to celebrate the launch, you’re going to go nuts. This is going to be really, really big, and I can’t wait for you to see what I have in store. If you’ve already signed up to pre-order your copy and you’re coming along to the book launch party (this Saturday – Feb 2nd in London) I can’t wait to see you there and meet you in person! The offer of the webinar is now closed. Thank you. The call is designed to re-energise you with any resolutions that you’ve set for the year, to be a process for creating an ultimate blueprint of what you want to achieve, and a chance for you to structure your goals into monthly checkpoints and challenges. You’ll go away feeling excited and purposeful about the year ahead, and certain in the resolutions you’ve laid out for yourself. The time for the webinar with Matthew is Tuesday January 15th, 8pm UK time. 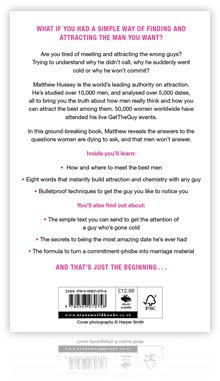 To get your access details simply pre-order your copy of the book here (or from anywhere online that the book is available) and send your receipt to us at book@gettheguy.co.uk. The team will then get back to you within 24 hours with your access details for the webinar, as well as a reminder on the day of the call itself. If you’re unable to make the webinar LIVE on Tuesday, we will be holding a re-run on Sunday January 20th, 4pm UK time. Pre-order your copy now!